Dominion Roofing Co. has been serving home and business owners in Clarksburg for more than 30 years. We are the local roofing contractor you can rely on for high-quality exterior services including gutter repair, siding installation, inspections, repair, and roof replacement in Clarksburg MD. Our dedication to superior customer service and quality workmanship is what separates us from other roofing companies in Clarksburg. Contact us at (301) 942-2009 or complete the contact form! 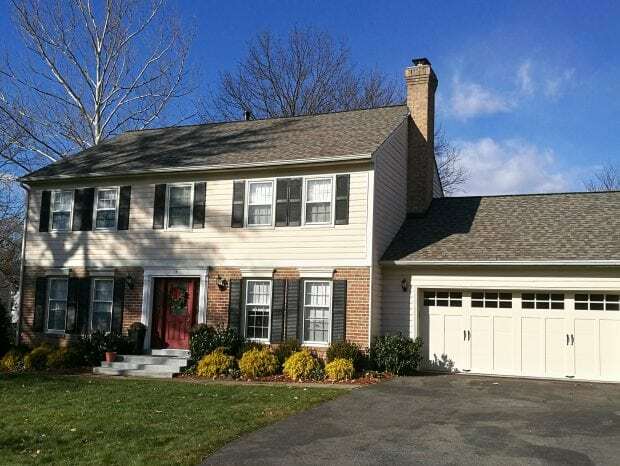 House with new roof by Dominion Roofing Co.
Dominion Roofing Co. has been repairing and replacing weather-damaged roofs in Clarksburg MD for decades. We will do everything possible to repair your roof and secure your home or business as soon as possible. Although “roofing” is our middle name, we offer many other home exterior services as well. Dominion is your go-to contractor in Clarksburg for all exterior services. Our professional team can assist with home improvements such as siding installation, gutters, soffits, and more! Call on Dominion Roofing Co. for your commercial roofing needs. We approach your commercial repair and installation with the same care and dedication we offer all customers. We respect your need to do business and will do everything possible to keep you operational. We honor your expectations, and will complete your project, no matter how big or how small, in a timely, efficient, and cost-minded manner. 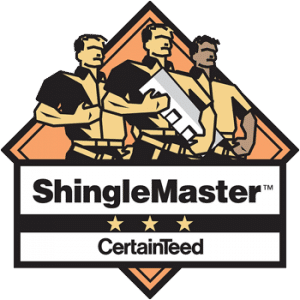 Talk to a Trusted Roofer in Clarksburg MD Today! We offer no-obligation estimates, and will inspect your roof should you suspect a leak or water stain is the result of roof damage. Contact Dominion Roofing Co. for all of your exterior home and business projects in Clarksburg MD. There’s no better way to protect your home and business.